Well, there are all sorts of problems with making decisions about your child’s health based on what you read on the Internet, and this story makes a very good case study. Let’s take a closer look. There are some signs of credible research here. The study was done at Harvard, and it was published in a peer-reviewed journal. There is even a link to the full-text article . However, the quote from the paper is a little less dramatic than the headline – their results “support the possibility…” of said scary effect. But the real issue comes in that last line. The results of this study are not being reported by the study authors or Harvard but by NYSCOF – an anti-fluoride advocacy group. They wrote the press release – it says so at the bottom of the page. In other words, the press release contains NYSCOF’s analysis, opinions, and yes, spin, on this study. This is never a good sign – at least not if you are looking for accurate information. So the press release is suspect, to say the least. Let’s lose the spin and take a look at the science. Anna Choi, the lead author of the study, is a research scientist at Harvard’s School of Public Health. Her previous work has focused on toxicity of mercury and organochlorine contaminants. Other study authors included two from China Medical University. The study is actually a meta-analysis of 27 previously published studies looking for correlations between children’s intelligence and fluoride exposure. These were cross-sectional studies measuring children’s IQ at one point in time and comparing scores between low versus high fluoride areas. The meta-analysis used statistical methods to summarize the average difference in children’s IQ associated with fluoride exposure. Both the National Research Council (NRC)  and the WHO  have recently reviewed the relationship between fluoride exposure and intelligence. What makes this current review different is that it includes many studies from rural China, which were not evaluated in the previous analyses. All but two of the included studies were conducted in China, with the remaining two being from Iran. Additional fluoride exposure in China comes from coal-burning and consumption of brick tea, and it is such a concern that there are active efforts to defluoridate drinking water . In their meta-analysis, Choi et al. found a small but consistent and significant relationship between water fluoride concentrations and children’s IQ scores. Those living in the high fluoride areas scored about 0.4 points (standardized weighted mean difference, SMD) lower than those living in the low fluoride areas. When they excluded studies that included co-exposures to arsenic and iodine and to fluoride from coal burning, leaving only 9 studies, the IQ differential dropped to 0.29 points (SMD), though it was still significant. Before we can judge the relevance of these data, however, we need to know how the Chinese studies defined high and low fluoride. The high fluoride areas had anywhere from 1 mg/L to 11 mg/L of fluoride, while the low fluoride areas had less than 1 mg/L fluoride in their drinking water. In 2000, it was estimated that 162 million Americans had artificially fluoridated water containing 0.7-1.2 mg/L. Fluoride concentrations are more variable in areas with naturally high levels. 1992 data estimated that 10 million people in the U.S. have naturally fluoridated water. Of these, most have low concentrations, but 19% have greater than 2.0 mg/L, the concentration at which some research suggests that we should be concerned . Some areas are naturally very rich in fluoride – concentrations have been measured as high as 13 mg/L in parts of New Mexico and 15.9 mg/L in Idaho. Take a look at fluoride concentrations in many different sources of water in U.S. You’ll see that the highest concentrations of fluoride are found in municipal water that is naturally fluoridated and in well water. Source: 2006 NRC Report . Back to the recent Harvard meta-analysis: My interpretation of the study is that fluoride may have a small effect on children’s IQ when present at very high concentrations. This isn’t surprising. Most chemicals, including other minerals and vitamins can be toxic if present in high enough amounts. Illustrating this, Choi et al. cite a study  showing that when rat hippocampal neurons were incubated in a petri dish with 20-80 mg/L of fluoride, there were signs of toxicity in those neurons. If you are a rat, and you are bathing your brain in high concentrations of fluoride, you should be very concerned. However, if you are bathing in municipal water with less than 2 mg/L of fluoride, I’d recommend pouring in some bubble bath and soaking a little longer. There were a few other problems with the study to consider. First, the data only show a correlation between intelligence scores and community fluoride concentrations. There is no evidence for a causal relationship, and any number of other factors could contribute to these observations. Furthermore, the meta-analysis did not account for important factors such as parental intelligence or socioeconomic level. These factors do influence children’s IQ, and they could vary based on geographical area just as do naturally occurring fluoride concentrations. Also, the reported IQ difference is very small and may be within the error of measurement. The 2006 NRC report  on fluoride in drinking water, written by a committee of experts in toxicology and dentistry, reviewed some of the same studies and reached a similar conclusion. This 531-page report (available online if you are looking for some light reading) also reviewed a range of other concerns about fluoride exposure. It is generally very careful and conservative in tone, making note of concerning research but not jumping to alarmist conclusions. It is critical of the EPA’s fluoride limits and ultimately recommends that they lower their Maximum-Contaminant-Level Goal (MCLG) from 4 mg/L to 2 mg/L. So yes, let’s do more research. In the meantime, there is no evidence that we should be concerned about fluoride impacting our children’s chances at getting into Harvard. An exception is for families living in areas where fluoride naturally exceeds 4 or maybe even 2 mg/L. If you aren’t sure about the fluoride concentration of your municipal water, it is worth a check. If you drink water from a private well, you should have it analyzed to check for fluoride as well as other metals. P.S. – After looking into the accuracy of that Reuters press release, all I could do was wonder what it takes to get them to put your press release on their website. They don’t appear to have very stringent standards, and there is some very fine, light gray print below the title of the article reading, “*Reuters is not responsible for the content in this press release.” I should start submitting press releases to Reuters with a link back to my website, just like NYSCOF. It’s great advertising. The problem is that nowhere on the page does it say that the article is an ad. Furthermore, the comments are closed, so there is no chance for a knowledgeable reader to contest the information in the article. 1. Choi, A.L., et al., Developmental Fluoride Neurotoxicity: A Systematic Review and Meta-Analysis. Environ Health Perspect, 2012. 2. Committee on Fluoride in Drinking Water – National Research Council, Fluoride in Drinking Water: A Scientific Review of EPA’s Standards, 2006, The National Academies Press: Washington, DC. 3. World Health Organization, Fluoride in Drinking Water, 2006, World Health Organization. p. 144 pp. 4. Zhang, M., et al., Effects of fluoride on DNA damage, S-phase cell-cycle arrest and the expression of NF-kappaB in primary cultured rat hippocampal neurons. Toxicol Lett, 2008. 179(1): p. 1-5. Thanks for this thoughtful analysis. The history of water fluoridation is interesting and storied. I practice pediatrics in the largest non-fluoridated city in the US. I think the part that gets lost in these types of headlines is that water fluoridation in appropriate amounts has actually been a successful public health campaign. It is proven to reduce dental caries and improve oral health. The only (thus far) proven adverse effect is fluorosis (when given in excess). Given the number of children I see with inadequate access to dental care and early dental caries, I support water fluoridation and provide supplements to all of my patients who do not drink fluoridated water. That said, I do believe it is important to continue to optimize the level of fluoride we are giving to our kids. I wrote about this issue here http://mytwohats.com/2012/04/02/do-we-really-need-fluoride-in-our-water/. Thanks for the link to your article! I would like to go into more depth on the benefits and potential risks of water fluoridation and fluoride supplements in a separate post. This post just addressed this latest claim – but your article addresses many of the concerns that people have. In our community, I see a lot of confusion and fear among parents about fluoride, so articles like the one I researched for this post concern me. They’re definitely spinning research results to support a cause, and the people who lose out are the parents who become afraid to use fluoride (and thus doubt their pediatricians and dentists on this issue) and the kids who have compromised dental health. I think there are valid concerns about water fluoridation, given that the margin of error between beneficial and adverse effects appears to be rather slim (thus, I think it was a good move for the HHHS to lower the recommended fluoridation level), but for me the huge public health benefit wins out. Thanks for this thoughtful article. It can be hard for parents to know what’s fact or fiction online, so this is very much appreciated. I found another interesting review of this Harvard study at a site called iLikeMyTeeth.org, which is managed by a coalition of groups including the American Academy of Pediatrics, the Pew Charitable Trusts and Voices for America’s Children. I was really hoping you would write about this topic. Thank you so much for this post and all of the time and energy you put into the research for us! For any readers who happen to be in Oregon, please visit http://www.EveryoneDeservesHealthyTeeth.org to find out more about the evidence in support of fluoridation and how to be involved. Oregon has the fifth worst rate of tooth decay in the nation. Our kids have twice the rate of untreated tooth decay (35%) as in Washington (15%). Difference? Most of Washington is fluoridated. Oregon does not have the worst teeth. The Henry J. Kaiser Family Foundation’s Commission on Medicaid and the Uninsured finds that [55% fluoridated] Mississippi has the fourth highest percentage of those over age 65 who have had all of their natural teeth pulled. It shows Mississippi’s 27.1 percent is lower than only [92% fluoridated] West Virginia, which had the highest rate at 36 percent, [92% fluoridated] Tennessee, at 33.7 percent, and [100% fluoridated]Kentucky at 27.4 percent. Oregon’s rate is lower than the national average at 16 percent even though Oregon is only 23% fluoridated. Only if you assume that correlation is the same as causation, and readers of this blog know better than to assume that. Dental decay is impacted by many factors, and fluoridation is just one. Diet, socioeconomic status, access to dental care, education, dental hygiene, and fluoride – all of these play a role. So to look at correlations between dental decay rates and fluoridation rates in different geographical areas is interesting, but it doesn’t prove anything no matter what side of the debate you are on. Hey Kylie – can you leave a link to a source for your dental decay stats? Thanks! And thanks for reblogging! This table can be sorted by percentage, so it’s easy to see that Oregon ranks fifth from the bottom and Washington is second from the top. Thanks, Kylie. That’s a great resource! If we didn’t issue the news release, this information and most anything negative about fluoride wouldn’t see the light of day and would stay buried in the scientific literature. Hope you scrutinize organized dentistry’s news release on fluoride, also. However, they usually appear as media stories as if the newspaper reported it independently. There are 100 animal studies showing fluoride/brain effects and now 33 studies showing human/brain deficits from fluoride. The US doesn’t do such studies so how can we know if artificial fluoridation has the same detrimental effects. After all, many children get way too much fluoride from dental products, food, beverages, pharmaceuticals, air pollution, as well as that which is absorbed in showers and inhaled in showers and ocean mist. Fluoride is found high naturally in ocean fish and tea. You can google USDA fluoride in foods to see how much fluoride is in some common foods. I would love to see you analyze the studies which purport to show fluoridation is safe and effective. You can start with the first human safety experiment the Kingston Newburgh Study which began in 1945. New Hampshire is the first state to require these warnings on water reports. This was heavily lobbied against by the dental industry because like the NRA they are very rich and very political and they protect fluoride like the NRA protects guns. I did take it from the horse’s mouth. I went and read the study itself – in the author’s own words, and peer-reviewed at that. Nowhere in the text of the paper did the authors express concern about artificial water fluoridation in the U.S. causing neurodevelopmental damage to our children. Seeing NYSCOF on the press release was a red flag that it may not be balanced journalism. But what put me off was that the press release failed to mention that the study was not about artificial fluoridation and that the finding of lower IQ was related to very high concentrations of fluoride, much higher than that used for artificial fluoridation. It was clear to me that NYSCOF’s objective in writing the press release was not to honestly represent the findings of this latest study but to support their agenda. If it takes a sensationalist headline and considerable spin to bring a study to “the light of day,” there may be a good reason for that. In this case, I believe that reason is that this study is not really relevant to those concerned about water fluoridation here in the U.S.
Having looked closely at the way that you presented the information on children’s IQ and fluoride exposure, I’m afraid to say that I’m inclined to doubt everything that you say about the topic. I actually feel that there may be valid concerns about fluoride, particularly since the margin of safety between beneficial and adverse effects seems to be rather slim, but I don’t expect to find a balanced view of those concerns coming from you. Rather than sorting through half-truths, I’ll do my own research, and I will share what I find on my blog. If I was consuming an exclusively liquid diet in high amounts relative to my body weight, as infants do, I wouldn’t use all fluoridated water either. That’s why this recommendation has been issued. I do think that this is a potential public health issue though, in cases where this information does not get to parents. Nearly every vitamin and mineral has an upper limit above which toxic effects are noted. Fluoride is no different. Take, for example, vitamin A. Vitamin A is an essential nutrient – we absolutely must have it in our diets (or beta-carotene as a precursor), but consume too much of it and you’re looking at signs of toxicity such as desquamation, bone and joint pain, liver damage, hemorrhage, and coma, not too mention severe teratogenic effects. This does happen – even in nature such as in cultures that consume a lot of liver and seal meat. Is that what nature intended? The point is that, yes, high levels of fluoride can be toxic, but the same can be said of most nutrients and life-saving drugs. We don’t eliminate those from our lives. Fluoride is likely not an essential nutrient, but if it has beneficial effects on our children’s teeth, I’m open to supplementing their exposure to it. Regardless of the effects of flouride, this article gives great insight into how to read news reports of studies. Thank you for all the tips. Hi Heather – I’m glad you find this helpful! It’s too bad that it is difficult to tell news from spin these days. I think that puts parents in a tough place when it comes to many concerning issues. I’ve started listening to the OPB piece several times but still haven’t made it through the whole thing. Toddlers… Lots of conversations around here about fluoride given Portland’s latest initiative. And I’m glad to know that we are in the neighborhood! "However, there are data showing that F has toxic effects on the central nervous system, depending on the dose administered,age, and exposure time; hence, it is recommended that the geographical location of a given population and the quality of the water they drink should be taken into consideration so as to take preventive measures for its use and, in areas where the fluoride concentration exceeds 0.7 mg/L, to avoid the intake of the drinking water, fluorinated salt, and the use of toothpastes and articles containing F."
The current HHS recommendation for water fluoridation is 0.7 mg/L. Scienceof Mom, thoughtful, intelligent response to both the IQ issue and to Nyscof, which is mostly run by a Long Island woman named Carol Kopf. I am a retired general dentist and am very much involved with the Everyone Deserves Healthy Teeth Coalition in Portland. A fellow coalition member shared your blog with me. I would like to add a little humor to the discussion by sharing with you a link from Cracked.com. It’s a piece by David Wong as he looks hour stories get picked up by the media, and I use the word “media” loosely and how it travels to land up being B.S. “Harvard, Columbia, Georgetown, Duke, U. of Michigan, U. of Wisconsin, Vanderbilt, U. of Minnesota, USC, UCLA, Stanford, UC-Berkeley, U. of Washington. Convince me, anti’s, that the similar demographics in 50+ years fluoridated Corvallis are dumber than their counterparts in non-fluoridated Eugene”. Thank you for carefully analyzing the study, its conclusions, and its limitations. I think this is yet another reason why I think that it’s important to have intelligent people working in government or science (perhaps sponsored by government funds): because I want someone to do this research, analyze these studies, and recommend policy, but I don’t have time to do it myself on every issue. Neither do most parents I know. I appreciate that you make the time and help out the rest of us! This is similar to Li’s large study on fractures in which the best outcome was at optimized fluoride level; worse higher and lower. Thanks for the links! I’m glad to know that this caught the attention of others as well. As a Civil Engineer, I know that people drink only 1/2% (one-half percent) of the water they use. The remaining 99 ½ % of the water with this toxic industrial waste fluoride chemical (Hexafluorosilicic acid) is dumped directly into the environment through the sewer system. For example, for every $1000 of fluoride chemical added to water, $995 would be directly wasted down the drain in toilets, showers, dishwashers, etc., $5 would be consumed in water by the people, and less than $0.50 (fifty cents) would be consumed by children, the target group for this outdated practice. That would be comparable to buying one gallon of milk, using six-and-one-half drops of it, and pouring the rest of the gallon in the sink. The company CEO would be arrested immediately if they dumped their toxic waste fluoride into a river. The only way they can do it legally is to run it through the community drinking water system first. It is an absolutely insane condition. Fluoridation surely is in contention as the most wasteful and most polluting government program. Giving away fluoride tablets free to anyone who wants them or adding it to salt would be far cheaper and certainly more ethical, because then we would have the freedom to choose. An even cheaper method is to purchase one tanker truck of this toxic waste fluoride (Hexafluorosilicic acid, which is waste material flushed directly from industrial smokestacks) and instead of putting it in drinking water, park the truck at city hall and give out fluoride free to anyone who wants it. When 99 1/2% of this poison is no longer wasted down the drain in showers, toilets, dishwashers, etc., one truck would probably last 5 to 10 years or more. Then use all of the $ millions in savings to help the community. I hesitated to approve your comment because it is A) getting off topic; and B) full of claims with no evidence. I approved it because it is possible that you are making a valid point – however, I have no way of verifying this since you didn’t provide any credible citations. Am I just supposed to take your word for it? I think readers of this blog are more savvy than that. If you want to interest me in your point, consider providing some citations (not web links to anti-fluoride advocacy websites – I already don’t trust those) that would address questions such as: Is fluoridation cost effective? Compared to other anti-caries strategies? Is there any evidence that fluoride concentrations in waste water are harmful to the environment? The argument that fluoride used in water systems is a byproduct of another industry = toxic waste doesn’t work with me. Water quality is monitored and regulated at the point of consumption. If there is evidence that say fluoridated water ends up having considerable contamination of arsenic, I might be concerned, but again, I need to see evidence. Something valid that I took from the above comment was the brief mention of “freedom of choice.” Although I fully support fluoridation, I have wondered about how a discussion might go if we focused on the fact that fluoridation does take away the individual’s right to choose. Meghan, I am empathetic to the choice argument as well. However, there are plenty of examples where we have chosen public health benefits over choice. For example, we iodize salt to prevent iodine deficiency. We fortify grains with folic acid to prevent neural tube defects. One would have to go to a lot of trouble to avoid these “artificial” sources of nutrients in their diets (goodbye Cheerios!). I guess I don’t mind giving up that choice, particularly knowing that those at greatest risk of neural tube defects and early childhood caries are the ones likely to gain the most benefit from these programs. Now if fluoride truly has safety concerns at current exposure levels, that’s a different story. I just haven’t seen real evidence that I should be worried. It seems obvious that an economic analysis of community water fluoridation (CWF) compares the cost of fluoridation programs to the savings in dental bills. The percentage of the water additive which humans actual drink has absolutely nothing to do with a cost:benefit analysis. A study on adult teeth published in the J Public Health Dentistry showed each $1 spent on CWF saves $38 in dental bills. One of the strongest economic reasons to support fluoridation comes from savings in children’s dental care. A very large huge Louisiana study showed that 2/3rd of the operations for terrible cavities and 50% of the dental bills were avoided with CWF. These operations can include extractions, root canals, fillings and stainless steel crowns & can cost upwards of $15,000. The return on the fluoridation investment dollar for severe cavities in kids is just under 150%. If this were the only benefit from CWF, and it is not, the practice would be justified economically. A year of fluoridation is about $1 per citizen. A lifetime is less than a single filling’s cost. A cavity acquired at age 10 costs a little over $2,100 over a lifetime . . repeated fillings, root canals, crowns, extraction, bridges etc. The PEW Trust has a nice summary of how CWF saves money and improves oral health. Obviously none of these findings have anything to do with the percentage of the water people swallow. Jwillie6 pastes this same silliness hundreds of times over in the net. As difficult as it is to understand why anyone would believe it, the fact is that folks do. One can only explain the truth about the economic payback from CWF and hope that 50.1% of the electorate understand. All you talk about is teeth. What about cancer? IQ? Bone? Infertility? Can it be avoided by brushing your teeth? Should we as a society pass out tooth brushes, and dental floss. One of the studies in China, that was reviewed by the Harvard researchers, that found a lowering of IQ from China had fluoride levels in the water from only 0.3 mg/L (0.3 parts per million) to 3.0 ppm. The lower end of those levels is greater than the amount added to water supplies in the USA and other countries. Children only have to swallow toothpaste to put them into the high-fluoride intake range. Some irresponsible ‘experts’ – who appear not to know how toxic fluoride is – now actively encourage only spitting toothpaste from the mouth and not rinsing it from the mouth. Moreover, the flavoured toothpastes, that are produced to appeal to children, encourage the eating of toothpaste. An acquaintance of mine told me that an adult child of hers told her that she used to sneak out of bed when she was a child to eat toothpaste. As for the lowering of IQ from fluoride, even a very small shift in the IQ of an entire population can mean a lower number of mentally-gifted people and a greater number of mentally-impaired people. Isn’t one of the problems nowadays that a higher percentage of children than previously have learning difficulties? Brains before teeth must prevai! Yes, they found lower IQ scores in the children from the 3.15 ppm area compared to those in the 0.3 ppm area. The HHS recommends that cities fluoridate their water to 0.7 ppm. All the Lu study tells us is that there is an association with lower IQ at 3.15 ppm – there is no evidence from this study that we should be concerned about 0.7 ppm. A pea-size bit of fluoride toothpaste contains 0.2 mg fluoride. A smear contains 0.1 mg fluoride. Young children drinking 0.7 ppm fluoridated water would get about 0.25 mg of fluoride. Pediatricians and dentists should work with families to help optimize their fluoride exposure. And no, children should not eat fluoridated toothpaste or anything else from your medicine cabinet. A very small shift in IQ could certainly have an impact, but only if that shift actually occurs. We don’t have any evidence to indicate that such a shift happens for children consuming water fluoridated to 0.7 ppm. Dear Blogger, you have a Phd. Perhaps you should correspond with another mom Phd, Dr. Phyllis Mullenix, who did the only toxicological study on fluoride for 15 years and published in 1995 that it’s a proven neurotoxin. In 1998 EPA scientists, whose job and legal duty it is to set the Maximum Contaminant Level, declared that this 4ppm level was set fraudulently by outside forces in a decision that omitted 90 percent of the data showing the mutagenic properties of fluoride. Please provide sources to support your claims. Comparing MCL values between two different elements is meaningless. Fluoride and lead are not the same and there is no reason to believe that toxicity would occur at the same concentrations. Take a look at what happened in Fairbanks, Alaska. The city council asked an emeritus PhD chemistry professor from the University of Alaska to organize an analysis of water fluoridation. The panel included a geochemist, a biologist, two chemistry professors (all PhDs), a pediatrician and a dentist. The city council’s question: Is fluoridation safe and effective? At the end of a year of open meetings, where the most recent fluoride science was analyzed, the panel concluded that fluoridation is neither safe or effective. It recommended that it be stopped. It’s been a little more than a year since the council voted 5-1 to stop the addition of fluoride. Fairbanks follows Juneau in turning off fluoride. The City of Palmer, Alaska reviewed the Fairbanks action and similarly stopped adding the poison. Details of the Fairbanks experience and extensive research into other consequences connected with exposure to fluoride can be found here: http://www.fluoridefreefairbanks.org. For more look north of the US border: A little more than a year ago, Calgary, Alberta, a city of more than a million people decided to end decades of fluoridation. 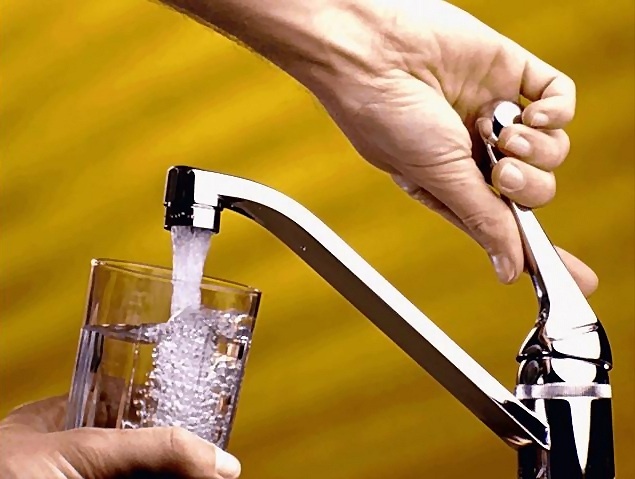 Council members made the decision to turn off the fluoride after sifting through hundreds of research papers showing increased health risk in connection with fluoride exposure. Look into the effects on lakes and rivers. Most of the added fluoride (98.5%) ends up in local and regional waterways. Get a handle on what it means to migrating salmon. There’s research from the John Dam day that shows salmon become lethargic and confused in the presence of fluoride. Not all fluoride is alike. Calcium fluoride is a result of natural erosion. The fluoride used in most water systems is a waste byproduct of the fertilizer and aluminum smelting industries and is far more toxic that calcium fluoride. Water fluoridation’s political history is the lynchpin to understanding the issue. The Fluoride Deception by Christopher Bryson, a former BBC producer, exposes the origins of the conspiracy. It’s not pretty. Your readers should know this and much more. Engage due diligence, people. Thanks for telling the Fairbanks story. I will have to take a look at the expert panel’s conclusions. I will say, however, that no city council decision is ever made based on science or public health alone. There are always some politics involved (on both sides). For example, many cities are choosing to drop fluoridation in part as a cost-saving measure. Also, there are some people who just plain don’t feel comfortable with something like water fluoridation, and that’s fair, too. For the sake of science, I hope that there is a plan in Fairbanks to monitor the incidence of early childhood caries before and after the removal of fluoride from the water supply. For the sake of the kids, I hope there are efforts to make sure that children get the preventative dental care that they need. Perfect example of misleading information. Calgary city councillors were persuaded by a few activists, not by “hundreds of research papers showing increased health risk in connection with fluoride exposure.” After 10 (of 14) of them quietly signed a paper indicating they would discontinue fluoridation, they decided it would look bad if they didn’t have a public session – so that was hastily arranged. The final vote: 10 against. Did any of them even listen? They rejected the offer of a University of Calgary Faculty of Medicine review of the science. I admire your going to the source even though I suspect your aim is simply to punch holes in any study which doesn’t support your beliefs. We can all do that. Sorry if I mentioned this before but it should be imperative for you to also take a look a the studies which purport to show that fluoridation is safe. You can begin at the very beginning with the 1945 Kingston/Newburgh study. I’ve written about it; but you won’t believe me. So I suggest you read up on it yourself. I would be really interesting to see how you would support the scientific validity of that study which actually forms the basis for fluoridation today and is really the only safety study ever done on fluoridation. I look at the papers in order to get an accurate understanding of the study, as written by those who conducted it. Is there a specific paper from the Kingston/Newburgh study that you recommend I look at? nyscof, Why should anyone believe you? I’m sorry to be so blunt, but you are an organization looking for donations to turn a profit off a fluoride scare. Stop misusing scientific data for your own personal gain. One of the definitions of pseudoscience is Argument from spurious similarity. This is a prime example of just that definition. You are using a scientific study that you read and decided agreed with your view point. You don’t actually use all the data of course, just the data that agrees with your viewpoint and will scare your customer base into donating more money to you. What Alice here has done is read the actual research paper, dropping your biased article out of her thinking and presented the actual data. That is how science works. So please, instead of spamming non stop because someone actually called you out for trying to pass off your pseudoscientific argument as fact, take a few science classes at your local community college before hopelessly attacking someone who is actually taking the time to educate people. Freedom of choice. It’s that simple. I can buy organic products to avoid the potential of pesticide residue. I can drink juice instead of pop to avoid filling my body with excess sugar. I can eat organic meat to avoid growth hormones. I can even get an abortion if I choose to. I live in America–the land of freedom of choice, right? My personal decision is that I want my water as pure as possible. Avoiding the ingestion of fluoride has nothing to do with fear and I admit, it is not a science-based decision. But it’s my decision and I’m entitled to it. If other people want to use fluoride, fine, but I don’t want it. When my kids were small, the dentist coated their teeth with a dental sealant to keep them from getting cavities. Our dental insurance paid for the procedure. To me, this non-intrusive preventative makes a whole lot more sense for the masses. If the government is going to spend money on preventing tooth decay, they should consider this option. I saw that you give you child fluoride drops…I am curious as to your take on the CDC’s statement that fluoride works via topical application to the teeth, and does not work systemically through the body. It would seem to me that fluoride drops do not provide the dental caries benefits you are looking for, but only provide the risks associated with fluoride ingestion. Fluoride’s caries-preventive properties initially were attributed to changes in enamel during tooth development because of the association between fluoride and cosmetic changes in enamel and a belief that fluoride incorporated into enamel during tooth development would result in a more acid-resistant mineral. HOWEVER, LABORATORY AND EPIDEMIOLOGIC RESEARCH SUGGESTS THAT FLUORIDE PREVENTS DENTAL CARIES PREDOMINATELY AFTER ERUPTION OF THE TOOTH INTO THE MOUTH, AND ITS ACTIONS PRIMARILY ARE TOPICAL FOR BOTH ADULTS AND CHILDREN (1). These mechanisms include 1) inhibition of demineralization, 2) enhancement of remineralization, and 3) inhibition of bacterial activity in dental plaque (1). We currently give BabyC a fluoride supplement that is combined with her vitamin D supplement (also necessary here in overcast Oregon). We give it to her via dropper after we brush her teeth before bed and don’t offer anything to drink afterwards, as we hope that she’ll get some topical benefit from it in this way. I’m thinking about switching from the drops to using a small amount of fluoride toothpaste. I know she can’t be expected to spit all of the toothpaste out at this age, but this way she would likely end up with more fluoride on her teeth overnight but it would all eventually be systemic as well. This would require a little more care on my part, since BabyC has recently taken quite a liking to toothpaste and wants to brush her teeth sometimes 5 times per day. We’d have to limit the use of fluoride toothpaste to 1-2 brushings and substitute our xylitol gel the rest of the time. Regardless, I’ll talk this over with our pediatrician and BabyC’s dentist at our next visits. Thanks for the comment! I am an Oregonian as well, and am also a big believer in Vitamin D supplementation for our young children. Fluoride supplementation, though, I am not so sure about. In addition to the topical vs. systemic issue mentioned above, I read that the ADA updated their fluoride supplementation recommendations last year. They now state that “dietary fluoride supplements should be prescribed only for children who are at high risk of developing caries and whose primary source of drinking water is deficient in fluoride.” (http://jada.ada.org/content/141/12/1480.full) It looks like they believe that simply living in a non-fluoridated community is not sufficient to warrant fluoride supplementation. You also have to be “high risk”, because of the risks associated with the supplement itself. I also saw that fluoride supplementation is not FDA approved. On all of the fluoride supplement labels, a big warning is now required: “NOTE:THIS DRUG HAS NOT BEEN FOUND BY FDA TO BE SAFE AND EFFECTIVE, AND THIS LABELING HAS NOT BEEN APPROVED BY FDA.”(http://dailymed.nlm.nih.gov/dailymed/lookup.cfm?setid=2e05a9bf-f8e7-41b1-b382-2dc9d8dafee4) I don’t quite understand how fluoride supplements can be legally prescribed when it’s not FDA approved, but apparently it happens. Doesn’t really give me much comfort, though. I thought the whole point of having FDA approval was to demonstrate the safety and effectiveness of the product. Fluoride is admittedly a controversial product…if it is safe and effective, why is not FDA approved? The decision to give my daughter fluoride supplements was one that was made after a risk assessment with her pediatrician, during which we decided she was indeed high risk and should receive a fluoride supplement. I hope that increasing her fluoride exposure will save her the pain and time in the dental chair that I have endured. The question of water fluoridation is a tricky issue. I agree that in an ideal world, every child would have what my child has: regular pediatric and dental check-ups, risk assessment, and appropriate supplementation as needed. The fact is that every child doesn’t get this kind of care, and these are the children who are targeted by fluoridation programs. I can’t speak to the FDA approval issue at the moment. I hope to research this question more soon. Right now, I’m prepping for the start of the semester and don’t have time. Thanks for your comment. Since many of my conclusions about the Choi 2012 study were different than yours, and you agreed they seemed potentially valid, I am patiently awaiting your revisiting of this topic. Yes, it does take time to understand these types of studies, especially when they are in a scientific field with which one is not familiar. But your big claim on this blog is that you evaluate science by looking at the original published evidence, and then try to interpret it for others who don’t have the time or expertise to do such evaluations. I think there are some important weaknesses, if not errors, in your initial interpretation of the Choi study. Perhaps you became biased because you didn’t like that the Choi study was brought to public attention through a press release from an organization that opposes water fluoridation. Or perhaps the fact that you had already decided to supplement your own child with fluoride made it hard for you to accept that a scientific study published in a very respectable journal might raise questions about the safety of ingested fluoride. Nobody is immune from biases and prejudices. We all want to justify our pre-existing beliefs. I would very much appreciate your finding enough time to reread the Choi 2012 paper to either verify or refute my comments about it. Science makes progress through give and take, and debate. I put a lot of time into my assessment, because, as I said, you seem to be a rare internet presence who actually takes the time and effort to look at scientific evidence carefully. You are one of very few commentators on the fluoride issue who are truly interested in the scientific evidence and are willing to spend the time to examine it yourself. I will stick to the Choi et al 2012 study, since I have also read it critically and believe that “numbers matter”. Those who don’t want to tax themselves with (simple) quantitative reasoning can stop reading now. The core of the study is a meta-analysis. Most people aren’t familiar with this type of study and there is a lot of confusion about what the study entailed and what it found. The biggest confusion seems to be what their summary result means. Several accounts have mistakenly said that their finding of a decrease of -0.45 SMD (Standard Mean Difference) for the pooled study data means they found an average decrease of 0.45 IQ points between the high and low F exposure groups. In fact, -0.45 SMD means they found a difference of 0.45 standard deviations, which in most IQ scales is 7 IQ points. The statistical summary measure SMD is commonly used in meta-analyses because it is unit-less, allows combining studies that used different measurement scales, and allows weighting by the strength of each study. Furthermore, the Choi study found that this summary statistic, the SMD, and therefore the 7 IQ point decrease, was highly significant. The next issue is whether the F water levels in the 27 original studies are close enough to be relevant to those in US fluoridated cities. Actually, an even better question is whether the TOTAL F intake in the subjects in China overlaps the F intake of Americans. When you look at the levels of water F in all of the 27 studies (Choi Table 1) in fact many of the low F reference groups had water F that was considerably less than 0.7 mg/L, with several as low as 0.4 mg/L. The high F groups had as little as 0.88 mg/L F in their water, and many high F groups were in the 2-3 mg/L range. Thus some low F groups had water F concentrations lower than in US fluoridated cities and some had high F concentrations only somewhat higher than in US fluoridated cities. First, in toxicology, it is common to provide a safety margin of at least a factor of 10. So a safety factor of 2 just isn’t sufficient. I’ll save the detailed reasoning on this for another time. Second, a more relevant measure of F exposure is urine or serum F, both of which reflect the total intake of F from all sources, not just drinking water. In the studies from China, almost none of the children used fluoridated toothpaste, had F supplements, or had dietary sources of F besides drinking water. In the US, all these additional sources of F can easily double the total F intake of a child. So, a Chinese study with a high F group drinking 2 mg/L F would provide a total exposure similar to a population of American children drinking 1 mg/L water. For references on the urine F level in the Chinese studies, it turns out that 11 reported urine F in addition to water F. For 5 of these the mean urine F was less than 3 mg/L. There is a surprising dearth of information on urine F levels in American children with which to compare these Chinese data. However, a study in the UK (Mansfield 1999) found that about 6% of adults had more than 3 mg/L F in their urine, and the UK has much less fluoridation than the US. Children will tend to have higher total F intake for their body weight and therefore higher urine F because they drink more water for their body weight and are much more likely to swallow toothpaste. That information can be found in the NRC 2006 report. Most of the Chinese studies are available in translation online at no cost. So, to put the Choi study into context quantitatively, it suggests that Chinese children with total F exposures that are similar to some American children in fluoridated cities had an average IQ decline of 5-10 points. The levels of F exposure and the consequences are quite pertinent to water fluoridation in the US. I have read most of the Chinese studies and agree that most are of modest quality. But perhaps the most important finding of the Choi study is the remarkable consistency of the Chinese studies. Only 1 of the 27 did not find a lowering of IQ in the higher F exposure group. Such consistency is rarely found in meta-analyses. Choi also provides arguments for why it seems unlikely that a systematic bias is creating a spurious effect in all these studies. Even if the Choi meta-analysis and the studies that underlie it can’t prove that IQ is lowered by F at exposure levels occurring in the US, the fact that no government that supports fluoridation has ever sponsored a single higher quality study to try to provide a better answer does not reassure me of the safety of fluoridation. ScienceMom thanks for this post and this discussion. Must admit I don’t know enough to evaluate NorthPat’s response and I haven’t read the study. Would love to hear your response to NorthPat and hope to learn more about this topic by trying to read some studies. Thanks! Science Mom, It’s now 6 months since you said you would “promise to return to the fluoride issue” and respond to my comments. The debate on fluoridation in Portland (near you) continues to heat up, but for some reason you’ve declined to address my comments. A scientific debate is only a debate if both sides participate! I realize being a new parent can take away time from anything else … but a lot of people are probably still interested in what your further research into this issue brings up. I apologize for my long delay in responding to your comment. Regarding the IQ SMD found in the study by Choi et al. : Your point is well taken. I probably should have written this as “0.4 SMD” rather than “0.4 points (SMD).” Regardless, the authors themselves note that this IQ difference may be within the error of measurement. You note that in some of the Chinese studies, reference concentrations were as low as 0.4 mg/L, below the 0.7 mg/L recommended in the U.S. True – but this just means that we have to be careful in our interpretation, since we know nothing about the linearity in the relationship between fluoride exposure and IQ. If high fluoride exposure lowers IQ, this doesn’t mean that increasing fluoride from 0.4 to 0.7 mg/L would necessarily have any effect on IQ. This is a huge confounder and makes it inappropriate to assume that the observed effects are caused by fluoride or to extrapolate these results to other populations. Many of the Chinese studies give broad ranges for their “high intake” groups, making it difficult to know the actual exposure to kids. The study with F concentrations closest to U.S. values and without apparent confounders was Yao et al. 1997, which compared a reference group with 0.4 mg/L to a high group with 2 mg/L – still nearly 3x that recommended by HHS for water fluoridation in the U.S. I do not think that we can assume that the Chinese children’s fluoride exposure was limited to their water supply. The main objective of my blog post was to critique the press release sending the news of this study out into the world and to comment on the relevancy of this study to the question of fluoridation in the U.S. I didn’t set out to critique the study itself. But looking closer, I do think that it is valid to criticize Choi et al’s liberal inclusion criteria for their meta-analysis. Good meta-analyses are very careful to only include studies that were conducted with satisfactory methodology. In this case, as the authors note, most of these studies were of questionable quality. Throwing together a bunch of poor quality studies doesn’t make them mean more together. They’re still poor quality studies. The only really valid analysis in the Choi study is the one listed in part (3) of Table 2 in the paper – the one that includes 9 studies, excluding non CRT-RC tests and populations with co-exposures to iodine, arsenic, or coal burning. These are really significant covariates, and if you’re interested in the effect of drinking water fluoride on IQ, it is critical to be sure that that you have isolated the fluoride variable as best you can. Based on this more appropriate inclusion of studies, the SMD for IQ narrows to -0.29, approximately 5 IQ points. In a meta-analysis of 9 studies (with questionable quality) of exposure of Chinese children to fluoride in drinking water (with unknown total fluoride exposure), those exposed to drinking water concentrations between 1.14 and 11 mg/L had an average of 5 IQ points lower than those exposed to 0.37-2.35 mg/L F.
The relevancy of this finding to the U.S., where municipal water supplies are fluoridated to a level of 0.7 mg/L, is questionable. If anything, it may indicate that this fluoride concentration is safe for this particular outcome. I agree. These findings do warrant further research. However, they don’t warrant the alarmist warnings issued by NYSCOF in this press release. And in my opinion, these specific findings don’t warrant concern about the effects of municipal water fluoridation in the U.S. on children’s intelligence. You will likely continue to disagree, but I’ve done my best to look at this research critically and fairly. The short answer is yes. I suggest petitioning your township/city to stop fluoridating your water if it is being fluoridated and or look at buying a good water filter that filters out fluoridation. Allen, many chemical compounds on this list (which is part of a poster, not a peer-reviewed publication, but nonetheless) are consumed in our everyday lives without a second thought. Vitamin A is a prime example – we even fortify foods, including milk, with it – and then we encourage kids and pregnant women to drink more milk! But yeah, vitamin A is toxic if you consume enough of it. Same goes for fluoride – small amounts of it confer some benefits, but consume too much (as the Chinese children in studies likely did), and you’ll probably see some toxic effects. Science of Mom is correct that Vitamin A is toxic at certain level: per Wikipedia, the Lowest Observed Adverse Effect Level (LOAEL) is 21,600 IU per day, or 700% of the US RDA. However, it is added to milk and other foods at very low levels. Skim milk, for example, is fortified at just 6% of the US RDA, or less than 1% of the LOAEL. Conversely, Fluoride is added to water supplies at 0.7 ppm, which equates to 18% of the EPA’s Maximum Containment Level (4 ppm, which as Science of Mom has pointed out, the NRC says is too high) and 35% of the EPA’s Secondary Maximum Containment Level (2 ppm). So while there is a very high margin of safety for Vitamin A, there is a very low margin of safety for fluoride. Furthermore, one has a choice regarding the purchase of Vitamin A-fortified foods. But you don’t really have the ability to avoid fluoride, particularly if you are in a tight economic situation. Even if you can afford bottled water or high-end water filters, you will still be exposed to fluoridated water at restaurants, in foods that are made or irrigated with fluoridated water, or when you take a shower in fluoridated water. So the element of choice is largely removed; with water fluoridation you get your fluoride whether you want it or not. On a personal note, I do try to avoid consuming the potentially toxic form of Vitamin A, a synthetic vitamin called Vitamin A palmitate. I specifically buy multi-vitamins that contain 100% natural beta-carotene, which is a precursor to Vitamin A and has no toxicity. In fact, this is one of the warning signs I look for when evaluating vitamins. So the Vitamin A example Science of Mom uses falls flat for me. Because some people make potentially bad decisions regarding Vitamin A, we should make an even worse decision about fluoride? I’d rather not. Oh my goodness – I had no idea this was such an issue in the US. If you want to observe long-term effects over time, look to Australia. We have had fluoridated tap water for decades. And unlike many cities in the US, our tap water is generally drinkable and people do drink it. I realize I am setting myself up for some jokes here about Australians’ IQ levels! I LOVED this piece. It is so nice to see an informed scientist break down a story like this and assess it critically- I wish all science journalism did this. Wouldn’t it be great if someone created a website that where qualified, unbiased people critically assessed and dissected science news stories like this for parents? When you get some time, can you also talk about vaccines? I don’t believe anything should be added to the water supply if there is even a hint of problem associated with it. Water is what makes up most of your chemistry and there are absolutely no positive effects associated with injesting fluoride. If you want to clean your teeth the fluoride then go and get a fluoride based mouthwash, toothpaste, salt, or milk product. To add it to the water supply is absolutely unethical and nonsensical. Also, what percent of the world is fluoridated ? How many years of study went into water fluoridation before it was implemented (do we know the effects of injesting a lifetimes worth of fluoride) ? Does water fluoridation also effect bone strength at 2mg/l ? And WHY was water fluoridation reduced in 2011 from 1.2 to .7 ? A bit ago I read this whole post and then every single comment. I’ve so appreciated you sharing your insights on this comment, ScienceofMom, but cannot believe you haven’t responded yet to NorthPat yet! You had a quick reply to every other comment that brought your conclusions into question, and I hope we’ll be able to hear your refute or agreement with his comment soon. I know I’m not the only mother out there hoping you will put your honest effort into a sincere response. Thank you so much! Rachel, sorry for my delay. I’ve been focused on other topics, but I finally sat down to look at NorthPat’s comment and respond today. I hope this helps. What a thoughtful article! Well done! I appreciate the information and contentious care with which it was delivered. In Portland, Oregon we are considering whether to add fluoride to the water or not, and it is a hot topic. I stumbled on this article and though it addresses the impact of fluoride on IQ and not necessarily the pros/cons of whether to fluoridate water per se, I found it helpful and insightful, especially in regard to questioning the source of information. I think all-to-quickly we jump on something we read without considering who the source of that information is or if it truly is an unbiased report. Thank you again! I plan on sharing the link to this blog! Fluoride at allowable levels of up to 4ppm wont do a lot of damage in the short term. But wait 50 years, and it will cause many illnesses. Fluoride accumulates and causes damage, only if it is not displaced by iodine found in seafood, so eat several serves per week as part of a balanced diet. Hi Sparky – This isn’t a study, it’s a review article. That means that it is Kauffman’s compilation of the research, and he is free to pick and choose what he cites. In fact, much of what he cites is not peer-reviewed research but rather opinion pieces. This, to me, is a red flag. If he can’t build his argument on the foundation of peer-reviewed research, than I doubt this paper is without bias or that his argument has good scientific merit. -Bone fluoride concentrations increase with both magnitude and length of exposure. Empirical data suggest substantial variations in bone fluoride concentrations at any given water concentration. These are consortiums of scientists and medical professionals whose primary mission is to promote the health of citizens – in particular, in the case of water fluoridation – those who do not have access to good dental care. I understand the concern with fluoridation, but all the evidence that I have looked at tells me that fluoridation is both SAFE and EFFECTIVE at the recommended concentration of 0.7 mg/L. And again, as I look at the links you posted, the dose is critical. We have to be critical consumers of science when we look at these studies. So fluoride lowers testosterone in rabbits. Wait? At what concentration? That study you posted used 20 mg/kg body weight. What exposure do we have in the U.S., counting fluoridated water, food, toothpaste, pesticides, and air exposure? Children have an exposure of 0.04-0.06 mg/kg/day (less than half of that is actually from fluoridated water). That estimate is from the NRC’s report on fluoride in drinking water, available for download here. I could go on with each of these studies, but the answer is always the same: they aren’t testing the doses that we use in our water (and they’re often testing them on animals, not people – thankfully!). Think critically. It’s good to be skeptical, but you have to be willing to think critically about the science as well. I acknowledge that low levels of fluoride are safe in the short term, however you seem to be ignoring the studies that I listed that show that fluoride accumulates in the body over time. The association between water fluoridation and hip fracture among white women and men aged 65 years and older. A national ecologic study. -There was a small statistically significant positive association between fracture rates and fluoridation. The relative risk (95% confidence interval) of fracture in fluoridated counties compared to nonfluoridated counties was 1.08 (1.06 to 1.10) for women and 1.17 (1.13 to 1.22) for men. As comparisons were made at the grouped level, it may be inappropriate at this time to draw inferences at the individual level. -they dismiss their findings as being significant, implying that more research is required. ie. Fluoride is currently not proven to be safe at low levels in the long-term. Patterns of fracture among the United States elderly: geographic and fluoride effects. Department of Community and Family Medicine, Dartmouth Medical School, Hanover, NH 03755-3861, USA. “Twenty nine studies were included on the association with bone fracture or problems with bone development and water fluoride. These studies had a mean (range) validity score of 3.4 (1.5-6.0) out of 8. All but one study was evidence level C (the other being level B). It’s a reasonable area for more research, but on balance, the evidence we have indicates that fluoridation does not increase fracture risk and may even protect against fractures with long-term fluoridation. -overweight or obese individual can be protected from fractures by fat, which acts as padding. I would like to see a study that measures the bone density of individuals who have experienced fractures. Of course, you would need to take the above factors into account, making it very expensive and time consuming. It’s been an interesting debate, but I simply don’t have time to respond to every part of the fluoride debate here. If you have any further comments on the relationship between water fluoridation and children’s IQ, the topic of this blog post, I’m happy to discuss with you further. And to others who might read Sparky’s comments and be concerned: I can tell you, there are holes all over them. I just honestly don’t have time in my life to actually go and read ALL of these studies, think about them critically, and respond. But where I have looked into these assertions, as in the previous comments, I have concluded that she is not a reliable source of information. Sparky falls in the category of a true non-believer. He doesn’t want answers. He’s just playing a game of “stunt the stars” and see if there’s something you can’t answer. Glad to cut to the chase with the dialogue with him. Reading his posts may truly affect my IQ. SOM is whistling past the graveyard. She can’t bear to reverse course. Nor can the drones at the CDC and the ADA. One of the great thinkers of our time, Carl Sagan, provided some wisdom that can be applied to the false assumptions that keep SOM and other fluoridationists bound and gagged. The science found here is enough for anyone who considers themselves prudent. Thank you, Science of Mom for all you do in sorting out the truth vs. science fiction on this very important public health measure. I love that quote. Thank you! And it’s true too, although in my case sometimes I feel like a lie can travel half-way around the world while I’m sleeping, then helping my daughter get dressed for preschool, cleaning up poop on the bathroom floor, walking the dog, and then trying to work on my book! You know, it is a complicated world we live in. We could go back to a time where there weren’t public health measures to improve our health – have all our babies at home, eschew vaccinations, and let our teeth rot naturally. That way we’d be sure that the only thing bamboozling us was nature. Of course, we’d have to face the consequences of maternal and infant mortality, hundreds of thousands of deaths to vaccine-preventable diseases, and painful tooth decay, particularly among those of us with the least resources and education on dental care and nutrition. Part of what has allowed our species to advance, what has allowed us to in some cases “beat nature,” is that we specialize. We live in a world where those who are passionate about and skilled in science are encouraged to make it their life’s work. It isn’t a perfect system, but the way we advance science and public health is by entrusting those who know more than us to study difficult areas and to built a body of knowledge. Part of living in this society and benefiting from its advances, I believe, is to encourage that spirit of inquiry and to trust the scientific consensus that comes out of it. In the case of fluoridation, there are smart people who oppose it, and it would be unwise to completely dismiss them or to stop studying the risks and benefits of fluoridation. It is through debate that we learn. But the scientific consensus is that it is safe and effective. And on nearly every issue that I’ve investigated in this debate, I have also looked at the science and felt confident in that conclusion. When we admit that we can’t know everything, that there are others in the world that know far more than we do, we definitely open ourselves to bamboozlement. But that is the way of the world. In the end, you have to decide who you trust. I trust science, imperfect as it may be, to sort this out. I can’t think of a better solution. Also, parents should remember to keep all fluoride toothpaste locked away in a poisons cupboard. Sodium fluoride is after all the key ingredient in many rat poisons. Yes, children have been admitted to hospital from eating toothpaste – it is afterall, delicious. Don’t Ask the AVN, See Your GP « Evidence, Please.